It’s remarkable enough that every frame of “Loving Vincent” was oil-painted and this process took six years, but the fact that frames were painted precisely like Vincent Van Gogh’s work, this is the moment when emotions burst out and the genius came in. When fascination meets reality, this is the moment where genius is born. It’s completely mesmerizing to see how innovation merged with creativity impact emotionally in a way it could not be described. 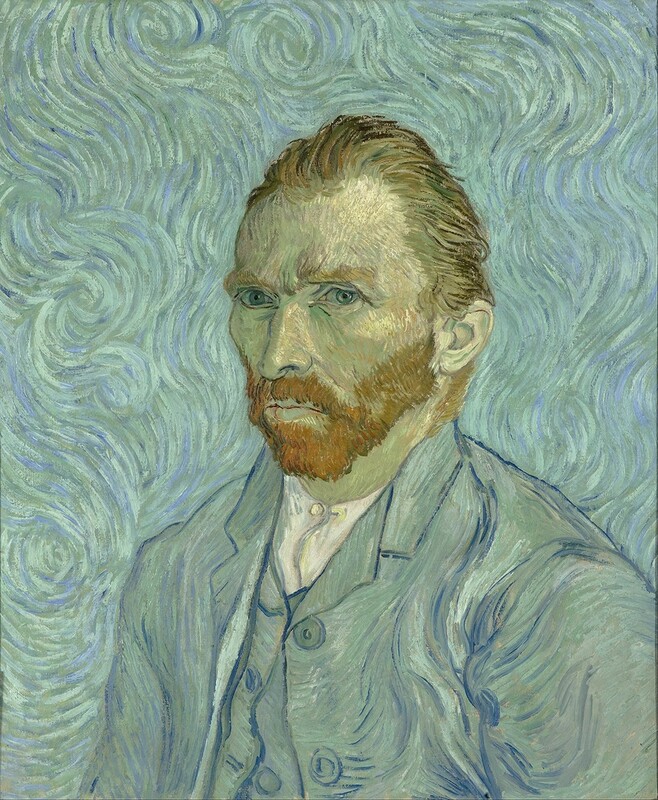 “Loving Vincent” — the movie, was born from the idea of the two British directors, Hugh Welchman who is an animator and his wife Dorota Kobiela who is a Polish-born artist. The two directors worked with, no more no less, than 125 artists that painted the 65,000 individual frames of the movie. 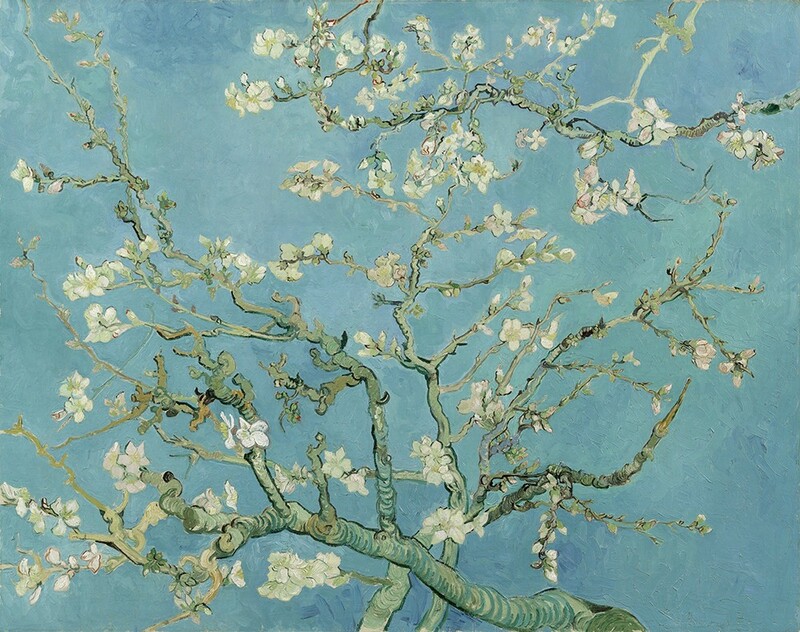 Each sequence being inspired by specific Van Gogh’s works. The movie’s journey was that the cast played out the scenes on ordinary sets, then the footage was projected on to canvases, frame by frame and painted over. The visual effect is strongly overwhelming. 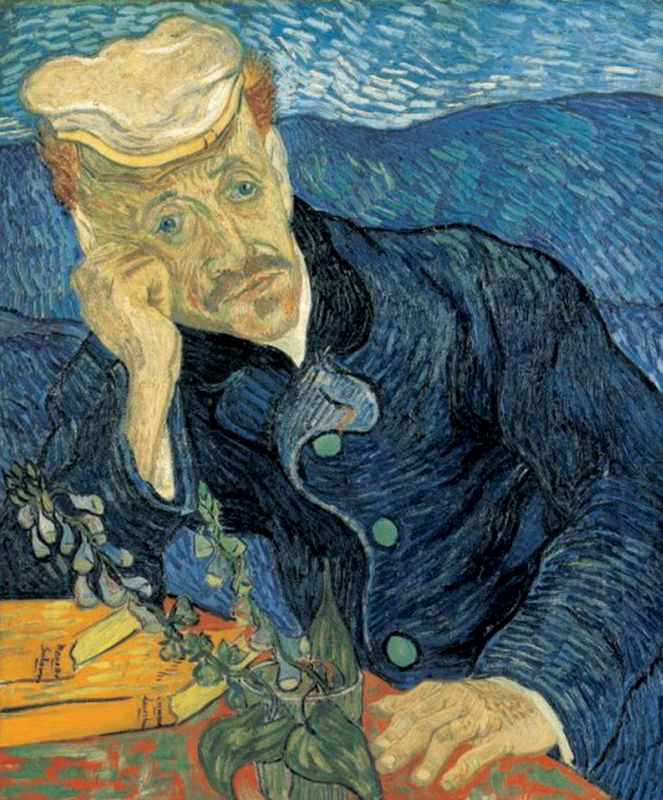 The script debates the misterious way that van Gogh’s lost his life and the tumultuous period that he walked through. 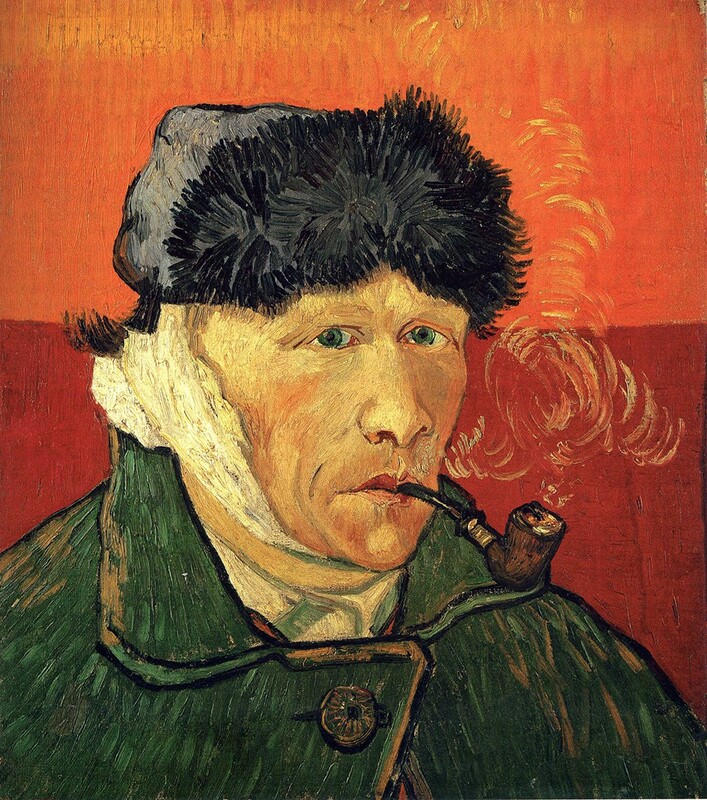 Addressed is the theory that van Gogh may not have taken his own life, but been shot by a disturbed teenage boy. 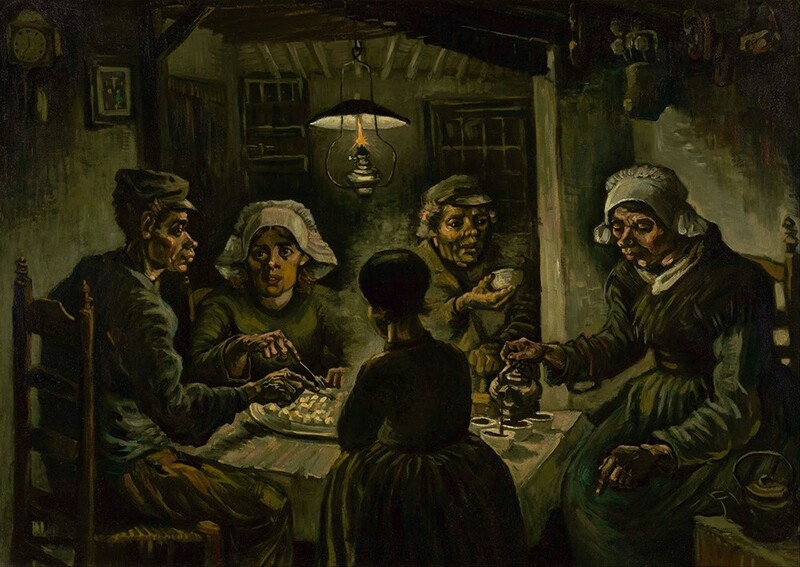 Van Gogh had various inspiration guides, the realist painter of the 19th century Jean-Francois Millet along side with his contemporaries and of course the Dutch genre painting. 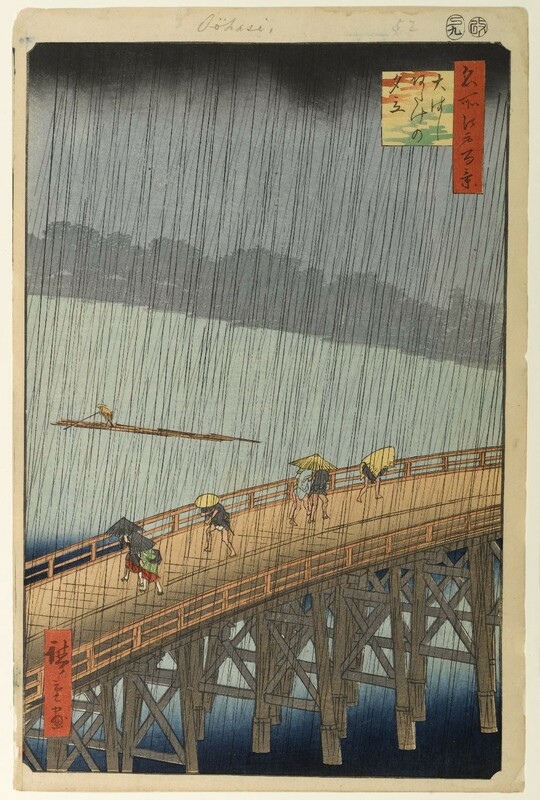 But he was particularly influenced by Japanese woodblock prints. 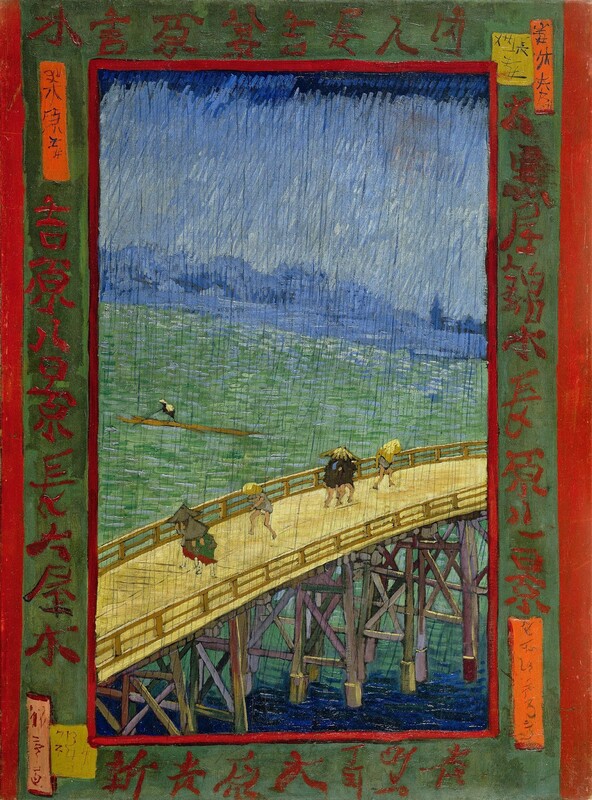 In some cases he even made copies, in his very own expressive style, of prints by Hiroshige, Kesai Eisen and others. 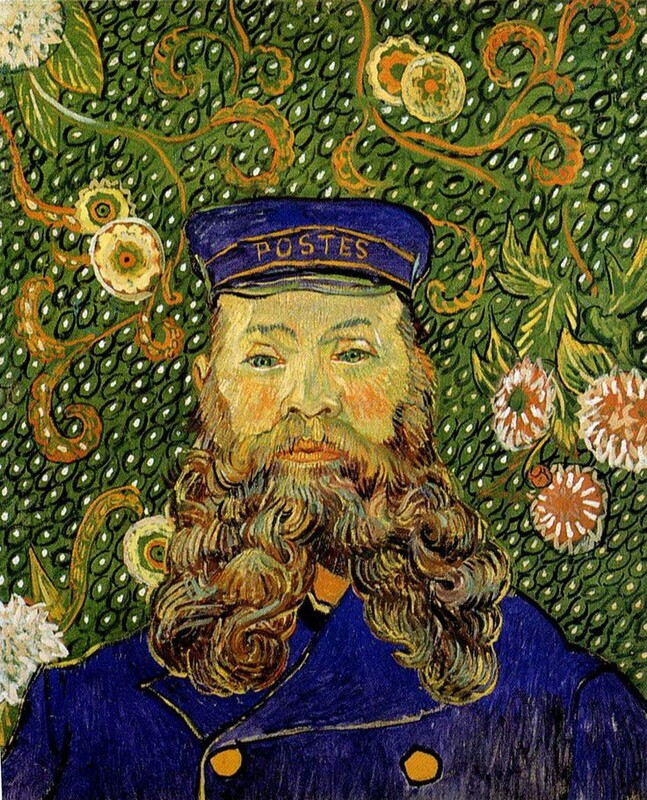 Despite the fact that Van Gogh worked only for 10 years, he started painting at the age of 27 until his early demise at 37, he was unusually prolific. He created more than 900 canvases and many more sketches. 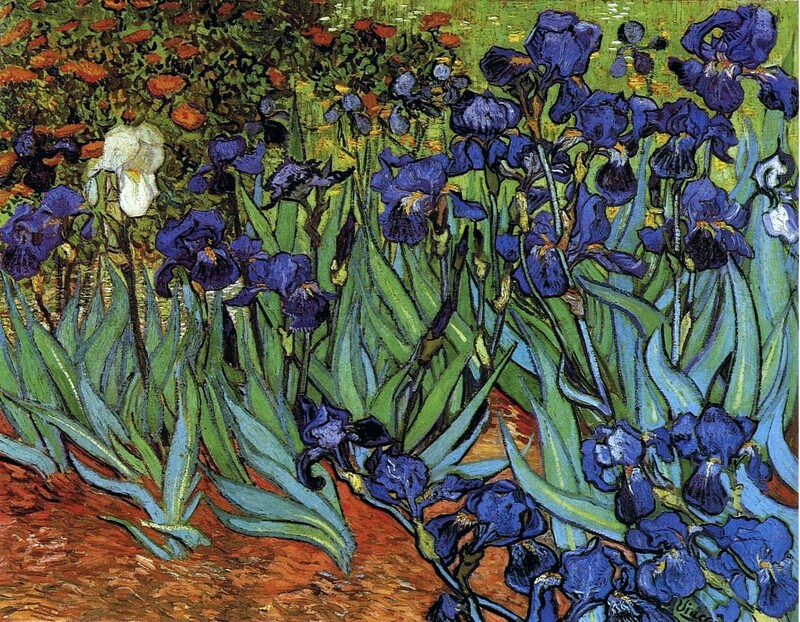 With a little math, Van Gogh created a new artwork every 36 hours. 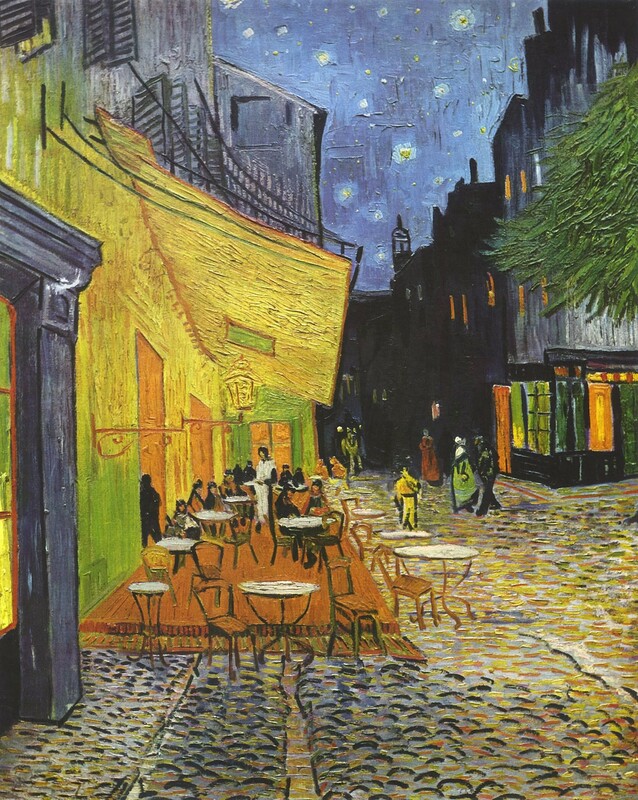 Van Gogh’s most famous painting, ‘The Starry Night’ was created during his stay in the asylum, for mental recovery. 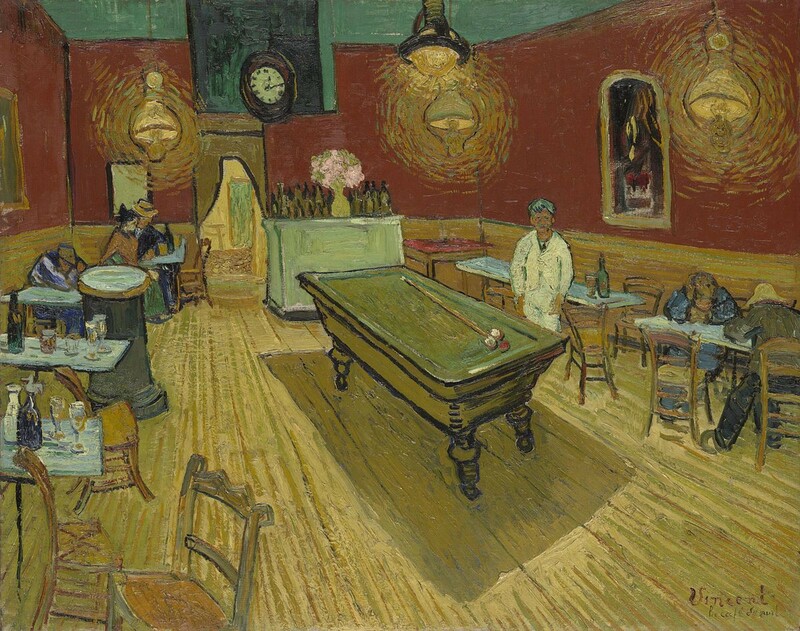 When he painted it, he was very unpleased with his work, In fact, van Gogh considered himself and many of his paintings to be failures. 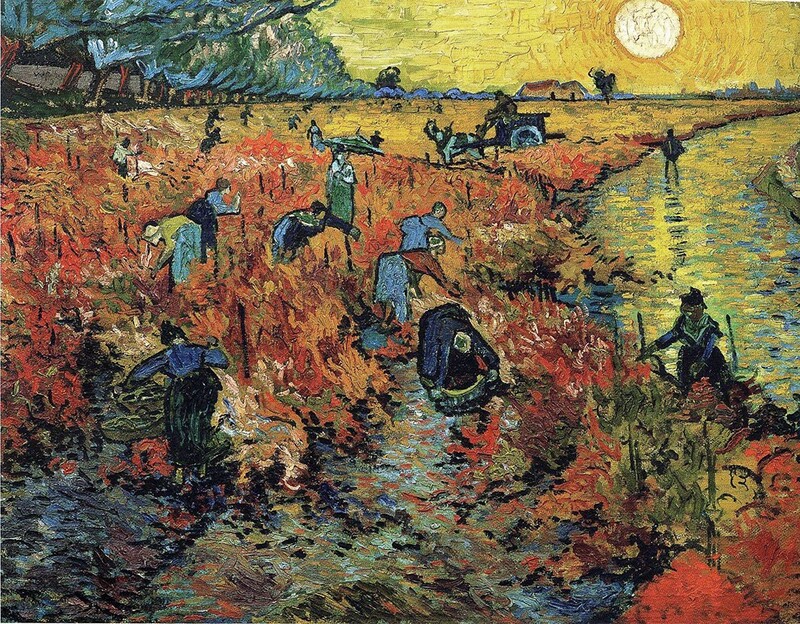 It’s rumored that in his lifetime he only sold one painting: ’The Red Vineyard’, to his painter and collector friend, Anna Boch. 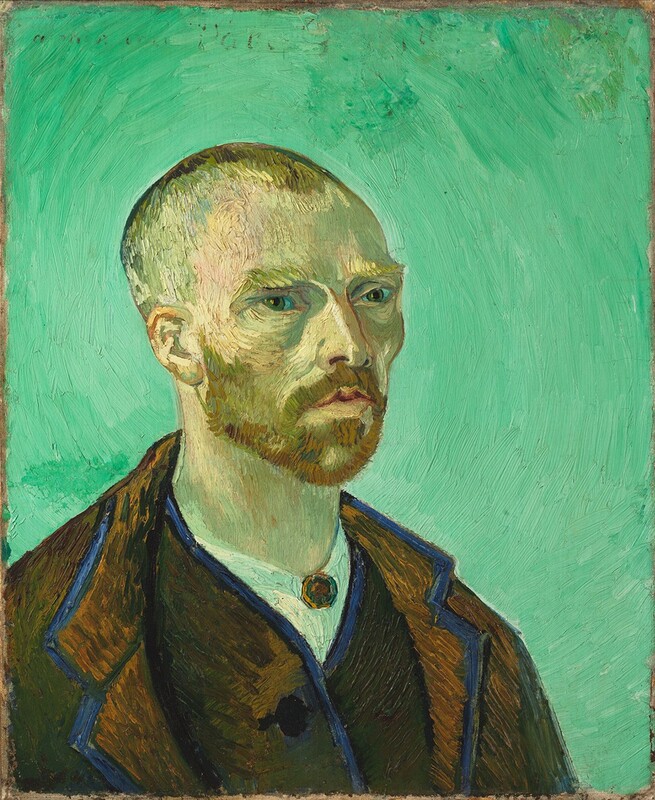 Because of his poverty, van Gogh didn’t have enough sources to pay for models, so this is one of the reasons he created a lot of self-potraits, and painted a lot his close people. Another cost-saving trick of van Gogh’s was painting over his artworks, instead of buying new canvas. This process was discovered by a new X-ray technique, initially invented for archeology, geology and of course medicine. 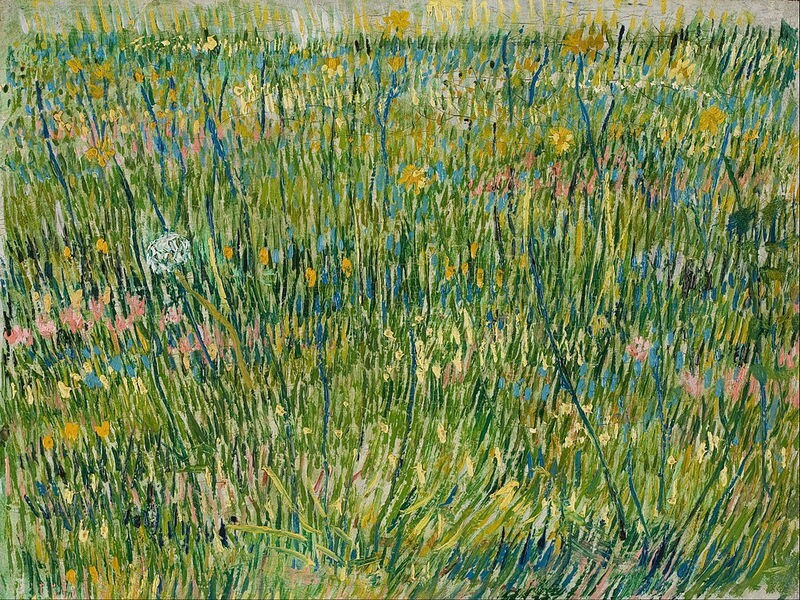 In the case of the Van Gogh — “Patch of Grass”, 1887 — it took months of planning and testing to ensure that it would not be damaged by the experiment.In the end, the scientists were able, pixel by pixel, to identify the colors used. 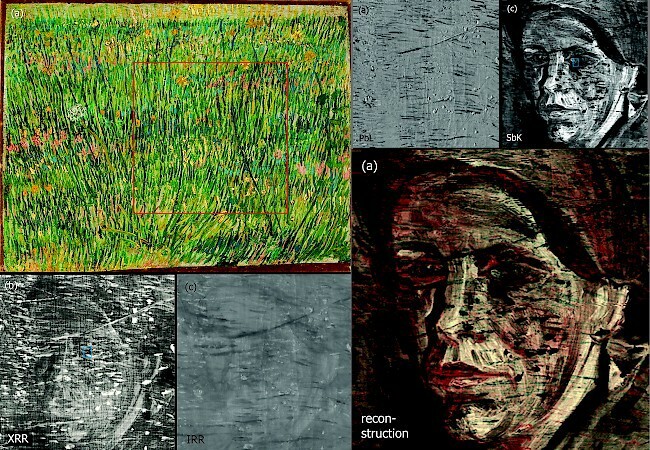 Discounting the data from surface layer colors, they revealed an entirely new work — the portrait of a woman. 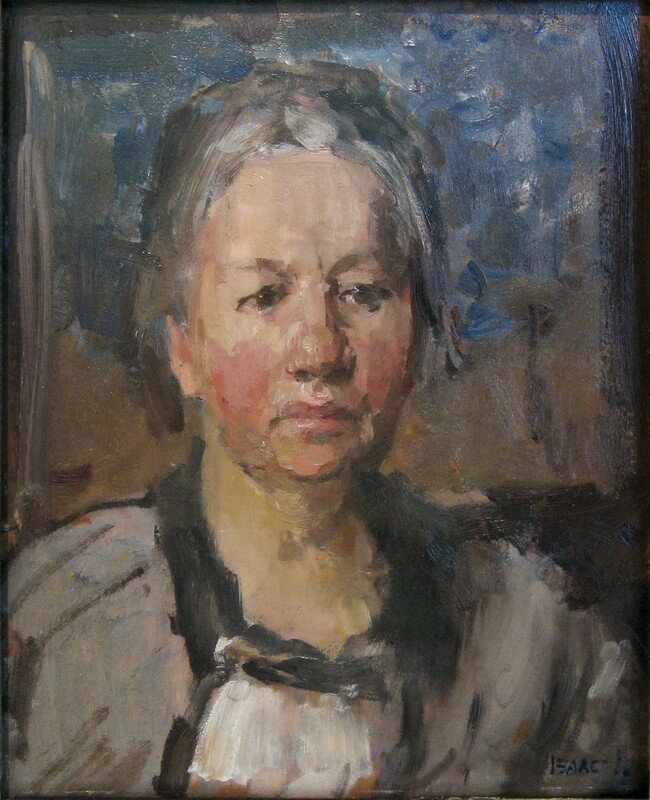 Thanks to Jo van Gogh-Bonger, van Gogh’s sister in law, who inherited a large collection of Vincent’s paintings, drawings and letters, made her mission to promote van Gogh’s works of art by loaning them out for various exhibitions. In 1914 she published a collection of letters written by van Gogh himself, to spread his tumultuous life story. After Jo passed away, her son Vincent Willem van Gogh, inherited uncle’s artwork and eventually founded the Van Gogh Museum. 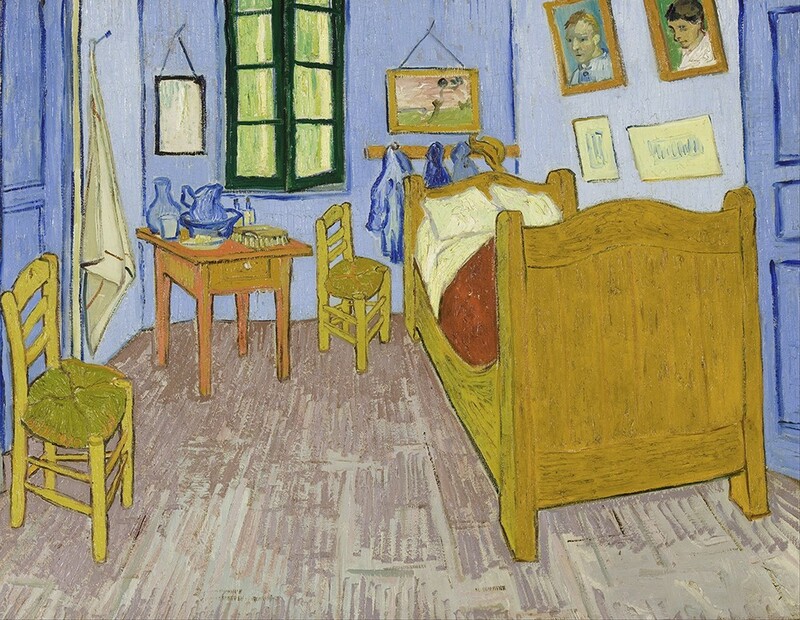 In his paintings such as “Bedroom in Arles”, Van Gogh used a signature yellow, made possible by a revolutionary industrial technique. The pigment was called chrome yellow, toxic lead chromate and like many of the pigments of the period was chemically unstable. Sadly these yellows, have significantly faded and browned over the years and so contemporary viewers aren’t quite seeing the original luminescence of the works. According to Koen Janssens, the leader of a group of researchers who tested samples of the browning paint told that this change is permanent,. “To reverse this chemical reaction would likely cause more damage to the paintings,” he said. Jeanne Calment is known for the longest confirmed lifespan, until 122 years. 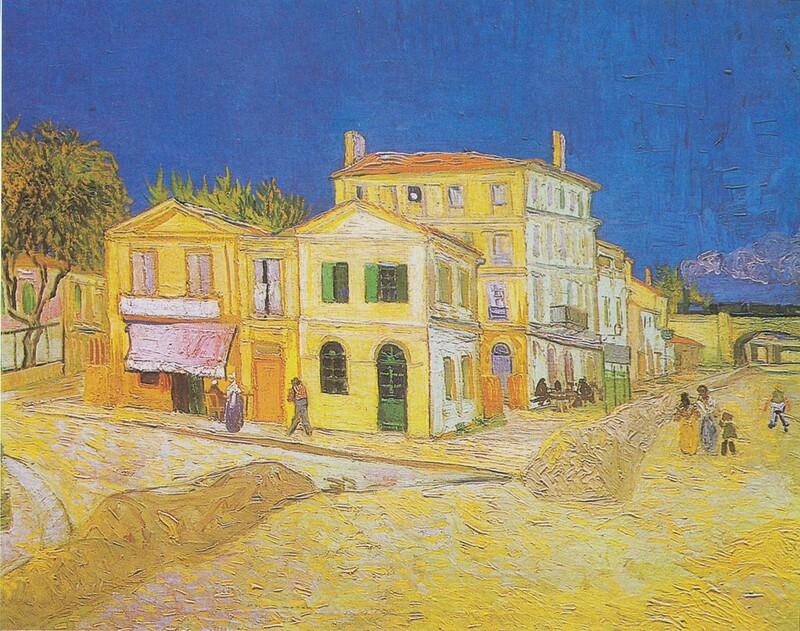 She grew up and lived in Arles, France where it happened to also be van Gogh’s residence at the time. 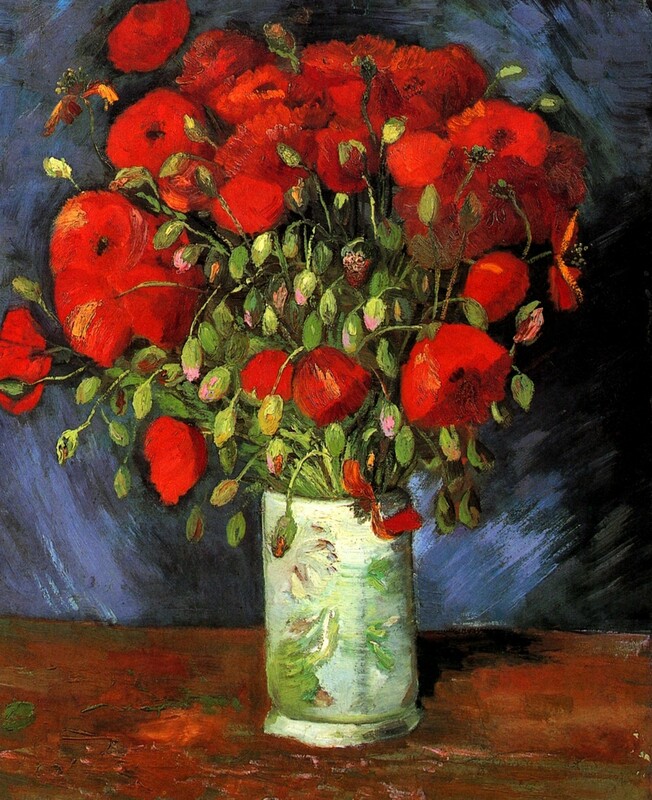 Four of the top most expensive paintings in history are by Van Gogh. 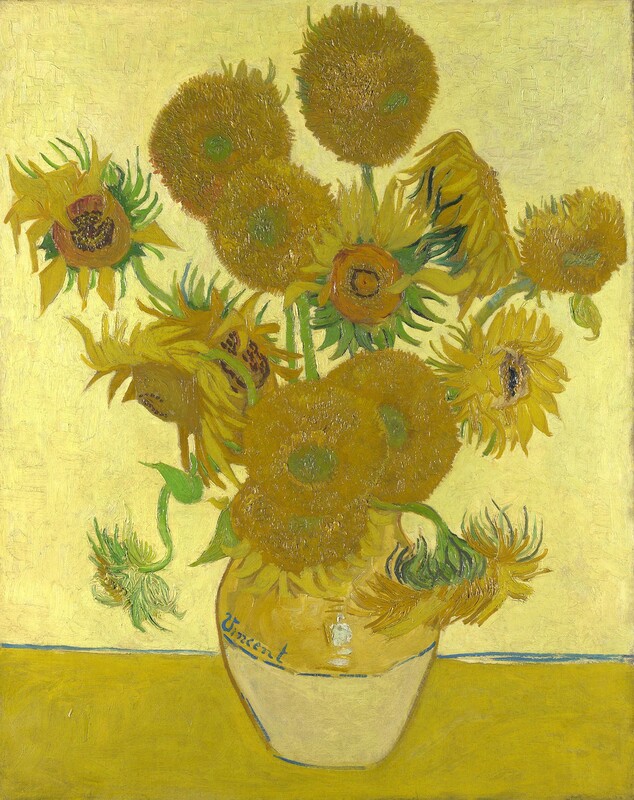 Including the “Sunflowers” that was sold for 62M $ and “Dr. Gachet” 82.5M $. 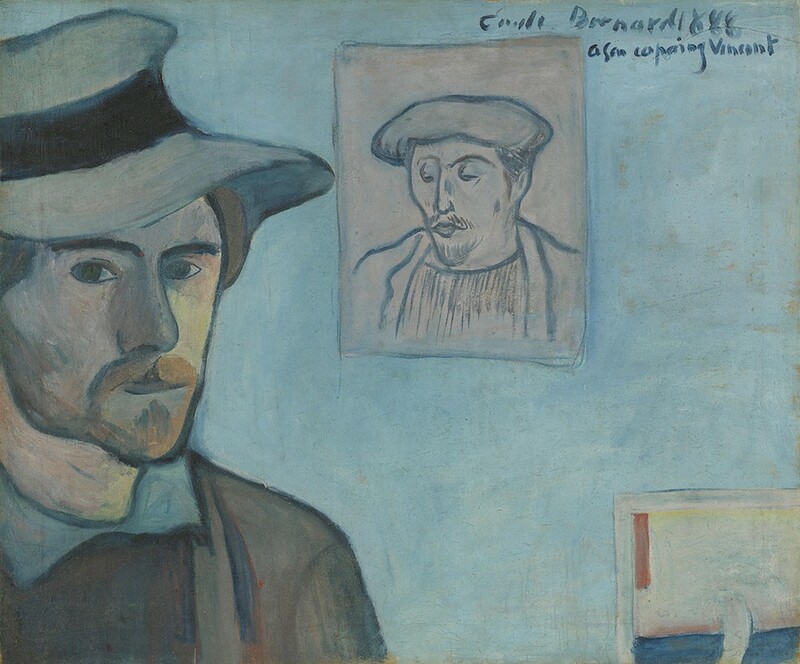 The portrait of “Joseph Roulin” was sold for 58M $, “Irisis” sold for 53.9M $ and the “L’artiste” self portrait sold for 71.5M $. 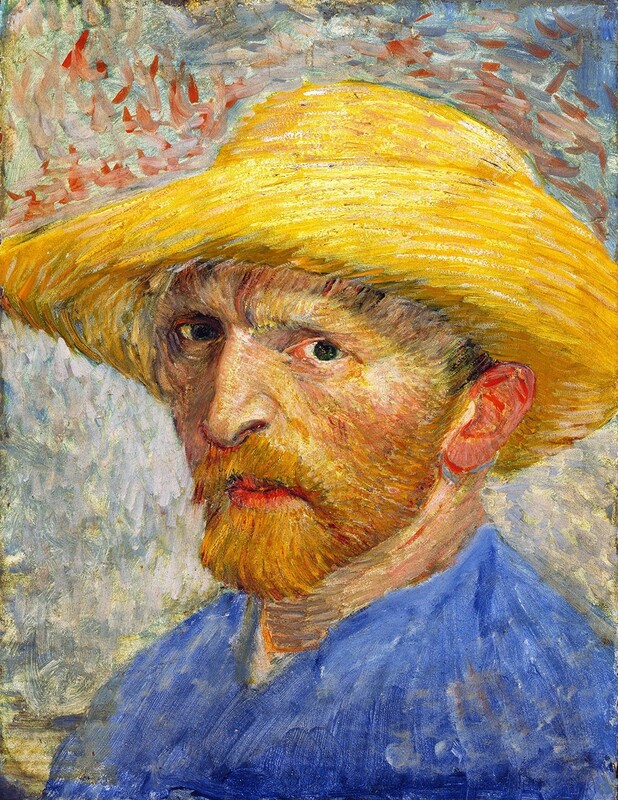 Vincent van Gogh never had much formal training in art, however, he attended an art school for a few months in Antwerp, in 1885, which was four years before his death.